Many questions have been posed in the week since District Attorney Stacy Parks Miller held a press conference to reveal the findings of the grand jury investigation into Beta Theta Pi and the death of student Timothy Piazza. Following the charges against the 18 former members of Beta Theta Pi, among those questions was whether or not the charged seniors would be allowed to graduate. 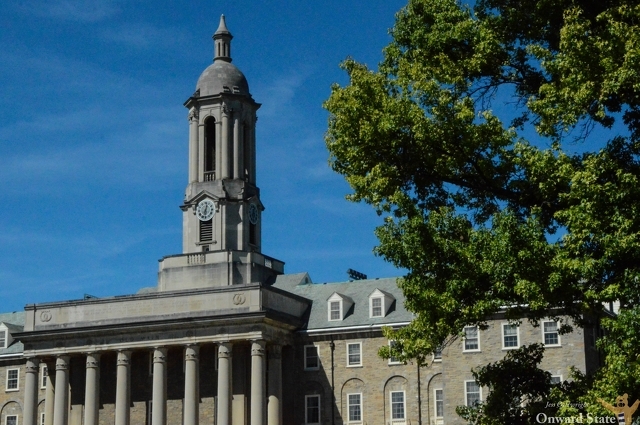 According to a FAQ page the university launched Friday, former Beta members who were planning to graduate last weekend were not able to do so, as Penn State placed them on hold while it begins its student conduct disciplinary process. The university has yet to comment on what the potential consequences of the student conduct disciplinary investigation may be. Questions and answers on the page go on to detail the regulations Penn State imposed for Greek life moving forward, the university’s permanent ban on Beta Theta Pi and temporary ban on Sigma Alpha Mu fraternities, medical amnesty policies in State College and with Penn State, and education programs students go through about topics like medical amnesty, alcohol abuse, and hazing. Penn State fans might remember, or have decided to forget, the Nittany Lions' 2012, 16-17 loss to Virginia on the road in Bill O'Brien's first year at the helm in State College. What they may have also forgotten, that the meeting was meant to be the first of a home-and-home series that would see the Cavaliers travel to Happy Valley for a rematch during a future season.